Attorneys, fellow judges and others on Monday recalled James E. “Jim” Mitchell as a caring and intelligent man who helped mentor other attorneys and whose greatest joys were being with family and presiding at adoptions. Mitchell, judge of probate for 37 years in Kennebec County as well as a practicing attorney for 46 years, died Friday of multiple organ failure at Laney Hospital and Medical Center in Burlington, Massachusetts, said Elizabeth “Libby” Mitchell, his wife of 51 years. Mitchell, 74, of Vassalboro, had fought cancer, lung disease, and had previously had heart surgery, said his wife. Mitchell last sat in probate court on Sept. 5 and was hospitalized three days later. “The last Sunday we were together before he went in the hospital, he drove his boat full throttle from Richmond to Five Islands,” Libby Mitchell said Monday. They were even pulled over by the U.S. Coast Guard, who checked that the grandchildren were safely secured. A memorial service is set for 10 a.m. Tuesday at the Episcopal Cathedral Church of St. Luke in Portland. Other services will follow at later dates, his wife said, including burial at the Maine Veterans Memorial Cemetery in Augusta. In Maine, each of the 16 counties has a judge of probate, a part-time, partisan post that is popularly elected every four years. Mitchell was in the middle of his term. Probate courts handle disputed estates of deceased people, adoptions, guardianships and conservatorships of disabled adults, and custody of children whose parents can’t care for them in cases that do not go through the district court child protective system. Mitchell authored the “Maine Probate Manual” and was continually gathering material to update it. Morton noted that probate judges are bound by the rules of judicial ethics and judicial responsibility, and their decisions can be appealed to the Maine Supreme Judicial Court. “In probate court, the court where the citizens are sometimes in their most vulnerable circumstances essentially on their own, he had a wonderful ability to make those folks feel comfortable and still follow the law,” Morton said. Last month, Mitchell had performed the marriage of his eldest granddaughter in Oregon. At the end of his life, he was humming a tune that had been played at that wedding. 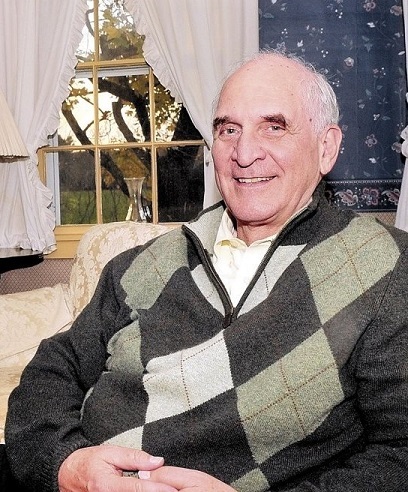 “He was the ideal judge, thorough, fair, compassionate, and he really believed that everybody should be heard,” said Mitchell, a former speaker of the Maine House of Representatives and former Senate president who joined the firm of Mitchell & Davis a decade ago. Mitchell himself had a number of clients, and his wife said she and Mitchell’s longtime law partner Jed Davis worked together. Mitchell took special care when he presided at adoptions, and his wife recalled one such ceremony that had so many people attending it was moved to the front lawn of the Kennebec County Courthouse where the wind whipped his judicial robes. Born in Little Rock, Arkansas, Mitchell was unfailingly polite, the epitome of a courtly, southern gentleman. At one point, he declined an offer to bypass court security to enter a courtroom, saying he needed to go through just as every member of the public did. He was a 1971 graduate of Yale Law School. Mitchell’s four-year term as probate court judge expires Dec. 31, 2018. On Monday, Kristen Muszynski, spokeswoman for the Maine Secretary of State’s Office, said a special election will be held in concurrence with the General Election on Nov. 8. The constitution also says that in the meantime, the governor may appoint a person to fill the vacancy until Jan. 1, 2017.